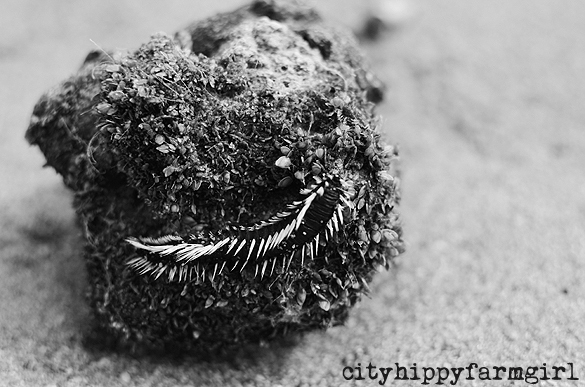 This entry was posted in Connecting with Community, Photography and tagged city, Photography, sea by cityhippyfarmgirl. Bookmark the permalink. Brydie- these photos are amazing! You just keep getting better and better- these are magazine quality. Except soon there will be no more magazines, I fear! I have been hearing this call from the Atlantic- gotta go to the shore sometime soon! He was a curious, spiky little thing indeed Janina. 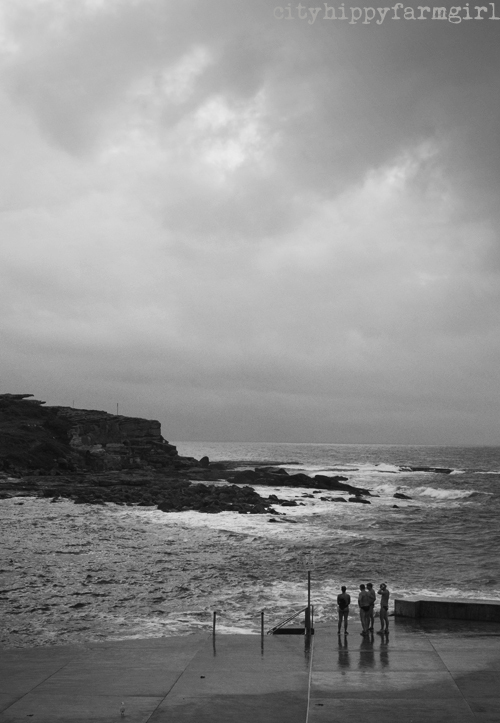 We framed a canvas of Coogee Beach today. Amazing inspiring photos Brydie. Love, love, love! Gallery quality pictures I think! 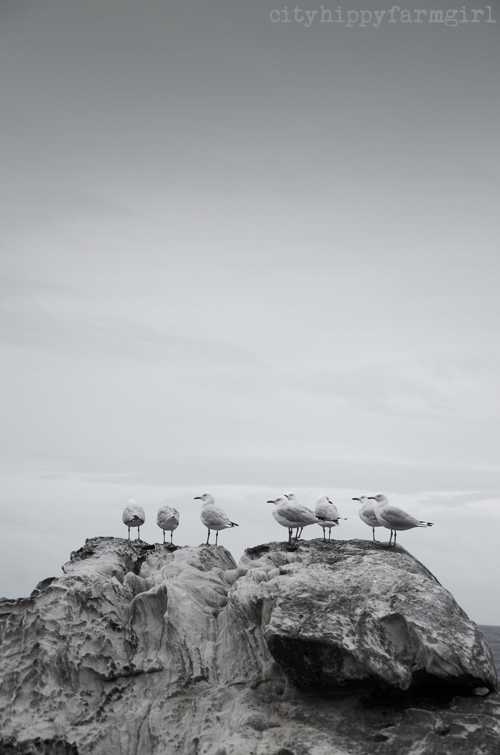 Love the top one with the seagulls. And even though we are hours away from the nearest salty water, I occasionally feel the pull! Oh my God!! Your pics are awesome!!!!!!!!!!!!! You talk with your camera , Brydie. You tell a story with the lens. You allow us to travel to places you have been. That’s a beautiful compliment Kim, thank you. And thank you to everyone that’s taken the time to comment about these photos, I really appreciate it. 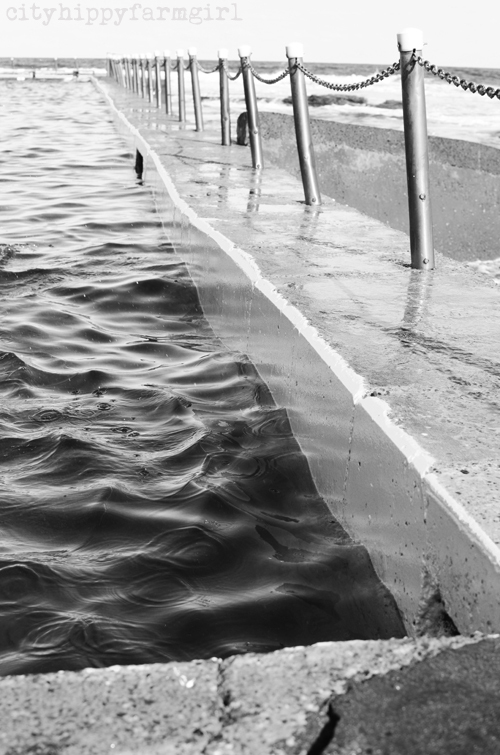 I love the photo of the posts and rippled water – it looks like something could jump right out of the water! I wrote a similar post about the call of the ocean not long ago – what is it about the sea that draws us? I’m not sure Tina, and it’s only a song that some of us hear. But for those that do, oh it’s such a loud song. How absolutely lovely, you lucky thing. What a beautiful thing to witness. Beautiful photos. I would love to live by the sea…if my family weren’t so far away from it. So beautiful no matter the season or the weather. 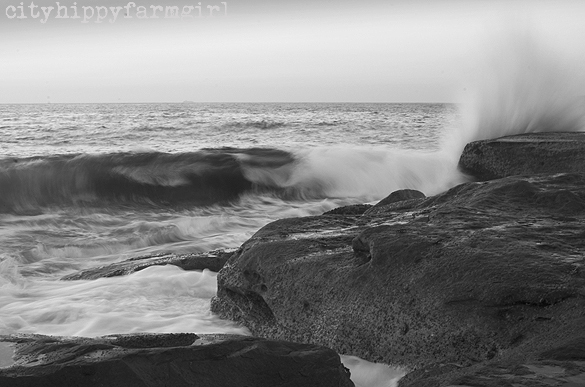 Love your black and white photos of the ocean…I can almost feel myself there.